This list is for reference only. 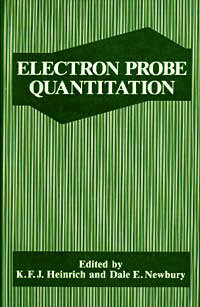 Books are no longer sold by Ted Pella, Inc.
Electron microscopy has undergone significant developments in recent years due to the practical implementation of schemes which can diagnose and correct for the imperfections (aberrations) in both the probe-forming and the image-forming electron lenses. 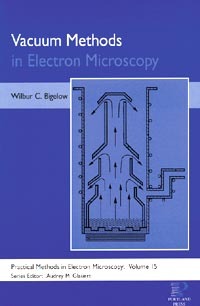 This book presents the background and implementation of techniques which have allowed true imaging and chemical analysis at the scale of single atoms as applied to the fields of materials science and nanotechnology. 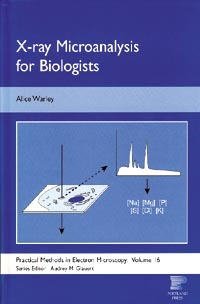 An Introduction to Surface Analysis by Electron Spectroscopy is a clear and accessible introduction to the key spectroscopic techniques used in surface analysis. 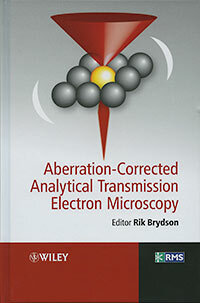 Focusing on the two most popular surface science techniques; X-ray photoelectron spectroscopy (XPS) and Auger electron spectroscopy (AES), the book will be of benefit to both students and users in industry who require a rapid grounding in the methods before carrying out their own analysis. 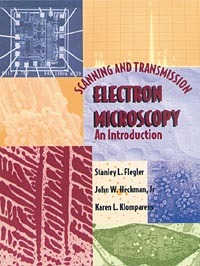 Starting with an introduction to the basic concepts of electron spectroscopy, the text moves on to explain underlying physical principles, discusses the instrumentation employed and looks at the interpretation of the resulting spectra. 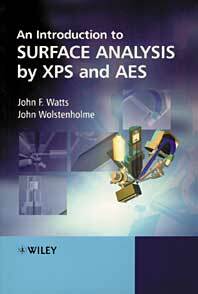 The latest material on angle resolved XPS, surface engineering and complimentary methods have been included to provide an up-to-date account of these widely used techniques. Examples taken from the fields of metallurgy, corrosion, microelectronics, polymers and adhesion. Detailed glossary of key surface analysis terms. 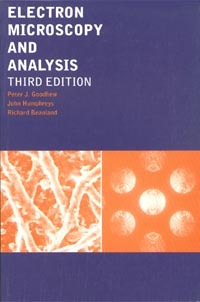 An invaluable text for undergraduate and postgraduate students studying surface analysis within science and engineering. A useful reference to those working within the field and needing to familiarize themselves with these important techniques. Although Atomic Force Microscopy (AFM) is an essential tool in materials and biological research, little systematic training is available for users. 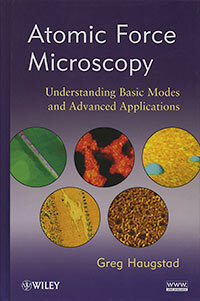 Addressing the gap in the field, Atomic Force Microscopy is a comprehensive primer covering knowledge readers need in order to become astute operators of AFM, including basic principles, data analysis, and such applications as imaging, materials property characterization, in-liquid interfacial analysis, tribology (friction/wear), electrostatics, and more. 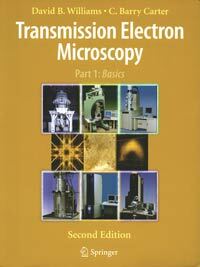 Provides concise definitions of over 2,500 terms used in the fields of light microscopy, electron microscopy, scanning probe microscopy and X-ray microscopy and related techniques. 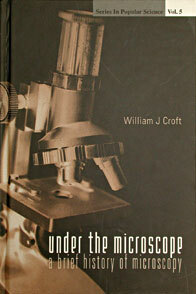 Written by Dr. Julian P. Heath, Editor of Microscopy and Analysis. 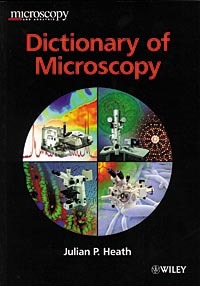 This dictionary is intended to provide easy navigation through the microscopy terminology and to be a first point of reference for definitions of new and established terms. The text is liberally illustrated and now incorporates questions and answers with each chapter. 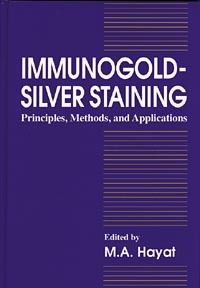 Already established laboratory manual, this edition will be essential reading for both the materials scientist and the bio-scientist. 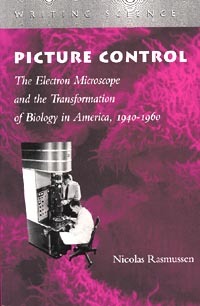 Table of contents: Microscopy with Light and Electrons; Electrons and Their Interactions with the Specimen; Electron Diffraction; The Transmission Electron Microscope; The Scanning Electron Microscope; Chemical Analysis in the Electron microscope; Electron Microscopy and Other Techniques; Further Reading; Index. 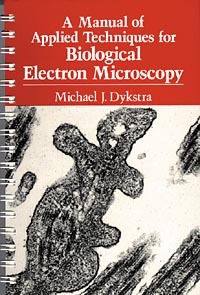 Covers all of the important aspects of electron microscopy for biologists, including theory of scanning and transmission, specimen preparation, digital imagine and image analysis, laboratory safety and interpretation of images. The text also contains a compete atlas of ultrastructure. 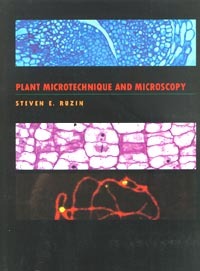 This new edition contains 200 additional line drawings and micrographs. 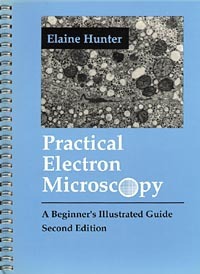 Both scanning and transmission microscopes are covered at an introductory level, eliminating the need for students to buy multiple books. 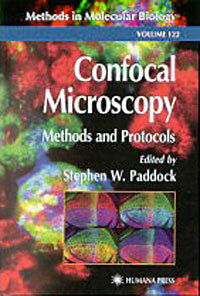 Includes and excellent chapter on safety in the electron microscopy lab. Thought provoking questions for each chapter appear at the end of the book. 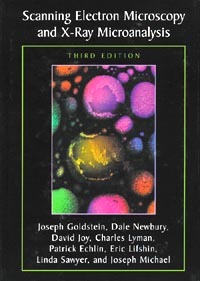 Presents the fundamentals of light microscopy, including the basics of microscope design, image formation, and camera function. Researchers will learn how to acquire electronic images and perform image processing. 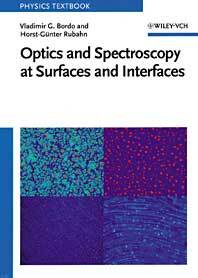 Provides instructions on the latest techniques involving confocal laser scanning microscopy, digital CCD microscopy, as well as a chapter covering issues related to image processing for scientific publication. 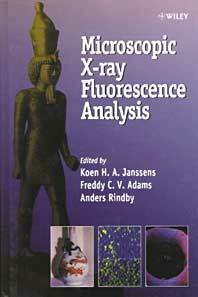 In the last 10 - 15 years many analytical advances in X-ray fluorescence analysis (XRF) have taken place, giving rise to non-destructive ultrasensitive surface analyses of materials. One of the variants of XRF developed is micro-XRF (µ-XRF), which is able to analyze the distribution of major, minor and trace elements in microscopic sample surface areas. Due to the availability of commercial instrumentation and the development of simple devices for focusing X-rays, µ-XRF has increased in popularity and is able to fill the gap between bulk X-ray fluorescence and electron probe X-ray microanalysis (EPXMA). 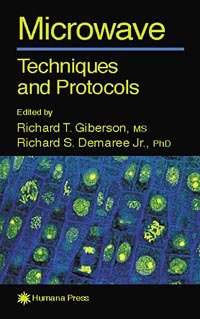 This is the first book to provide detailed protocols from laboratories that integrate microwave technology as part of their normal routine. 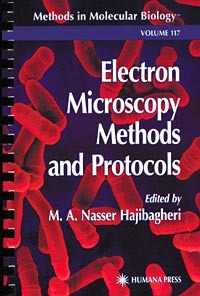 The text shows how microwave processing has evolved into a methodology that greatly reduces processing times without sacrificing quality, and can be utilized by any laboratory personnel who process samples for microscopy. 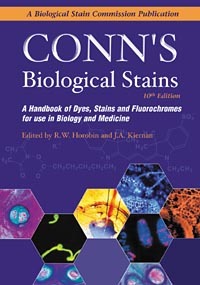 This volume includes examples of technicians and investigators using light microscopy tissue samples in paraffin, plastics, as well as in vitro labeling and immuno labeling. 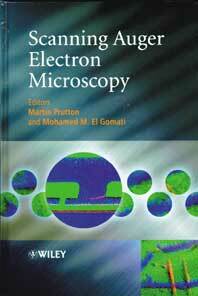 Also included are cases demonstrating the processing of samples for scanning and transmission electron microscopy. Microwave Techniques and Protocols sets the trend by assembling a wide range of detailed protocols that are being used today to improve productivity and reduce costs. 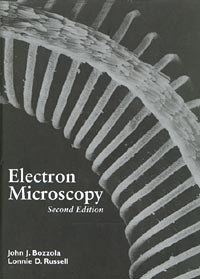 Scanning electron microscopy (SEM) is a technique of major importance and is widely used throughout the scientific and technological communities. A recent development is the advent of SEMs that utilise a gas for image formation while simultaneously providing the charge stabilisation for electrically non-conductive specimens and/or a suitable environment for materials and experiments involving water and other gases. The book addresses various aspects of the topic in six chapters. 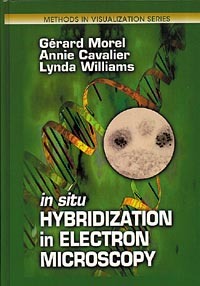 The book series is addressed to the researchers, engineers and technicians in the field of material science (chemistry and physics), ground science (mineralogy and geology) and biology, to whom transmission electron microscopy analysis of materials is being used to understand both structural characteristics and the properties and specific functions brought by material conformation. 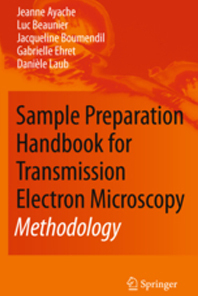 The first volume covers theoretical and practical aspects of sample preparation for TEM. It brings you tools for preparation and observation techniques. 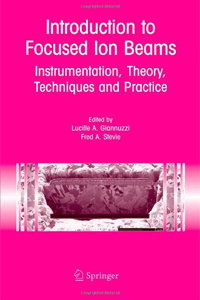 This volume also gives directions to the best preparative technique to implement by taking into account material types, material structures and their properties. 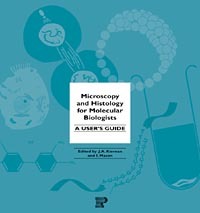 Physical properties, material classification and microstructures are also compiled, alongside a thorough description of physics and chemistry of sample preparation techniques. 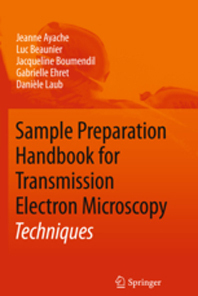 This technical handbook identifies the main artefacts brought by the preparation techniques (mechanical, physical and chemical techniques). 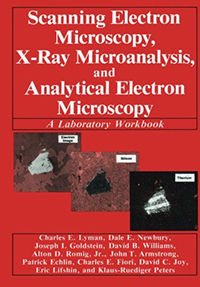 It covers a wide range of TEM analysis and observation modes and gives a comprehensive comparison between techniques used on the same material and offers tools to implement a particular technique onto a given material. A thoughtful discussion upon combination of techniques is also included to guide your complex sample analysis and to obtain TEM thin slice. The second volume is dedicated to technical hints. 14 different preparation techniques are developed; compatibility and pre-treatments are also included. 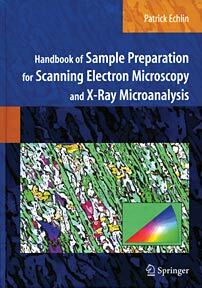 This volume also compiles 22 thin slice preparation detailed protocols for TEM analysis. It considers theoretical sidelight, experimental conditions and guidelines, options and variations, advantages and constraints, common artefacts brought by the given treatment of sample. Application fields of main techniques are developed with particular considerations on type of materials, conditioning, compatible analysis of a given preparation and the risks of the techniques. 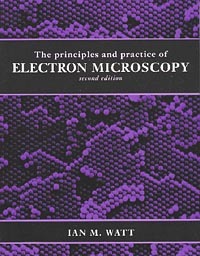 The material in the book is intended as a guide to the subject of Auger electron microscopy and so it is hoped that it will be of interest to researchers in this field as well as to others who wish to discover what can be achieved with this technique and what are its limitations. In addition, it will be useful to analysts working with SAMs who are hard pressed to measure many samples and have little time to work on other aspects of the behaviour of their instrument or the problems that they may, perhaps unwittingly encounter. During the last four decades remarkable developments have taken place in instrumentation and techniques for characterizing the microstructure and microcomposition of materials. Some of the most important of these instruments involve the use of electron beams because of the wealth of information that can be obtained from the interaction of electron beams with matter. The principal instruments include the scanning electron microscope, electron probe x-ray microanalyzer, and the analytical transmission electron microscope. The training of students to use these instruments and to apply the new techniques that are possible with them is an important function, which. has been carried out by formal classes in universities and colleges and by special summer courses such as the ones offered for the past 19 years at Lehigh University. 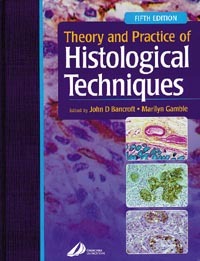 Laboratory work, which should be an integral part of such courses, is often hindered by the lack of a suitable laboratory workbook. 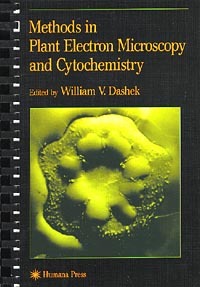 While laboratory workbooks for transmission electron microscopy have-been in existence for many years, the broad range of topics that must be dealt with in scanning electron microscopy and microanalysis has made it difficult for instructors to devise meaningful experiments. 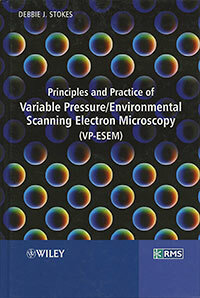 The present workbook provides a series of fundamental experiments to aid in "hands-on" learning of the use of the instrumentation and the techniques. 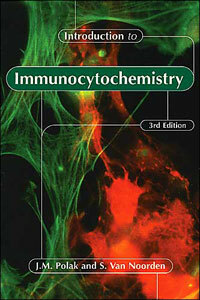 It is written by a group of eminently qualified scientists and educators. The importance of hands-on learning cannot be overemphasized. 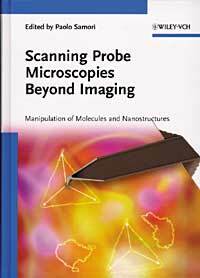 This first book to focus on the use of SPMs to actively manipulate molecules and nanostructures on surfaces goes way beyond conventional treatments of scanning microscopy merely for imaging purposes. It reviews recent progress in the use of SPMs on such soft materials as polymers, with a particular emphasis on chemical discrimination, mechanical properties, tip-induced reactions and manipulations, as well as their nanoscale electrical properties. 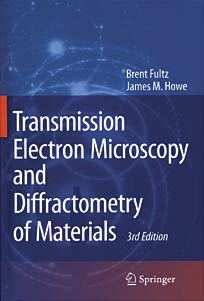 Detailing the practical application potential of this hot topic, this book is of great interest to specialists of wide-ranging disciplines, including physicists, chemists, materials scientists, spectroscopy experts, surface scientists, and engineers. While X-ray diffraction investigation of powders and polycrystalline matter was at the forefront of materials science in the 1960s and 70s, high-tech applications at the beginning of the 21st century are driven by the materials science of thin films. Very much an interdisciplinary field, chemists, biochemists, materials scientists, physicists and engineers all have a common interest in thin films and their manifold uses and applications. Grain size, porosity, density, preferred orientation and other properties are important to know: whether thin films fulfill their intended function depends crucially on their structure and morphology once a chemical composition has been chosen. Although their backgrounds differ greatly, all the involved specialists a profound understanding of how structural properties may be determined in order to perform their respective tasks in search of new and modern materials, coatings and functions. 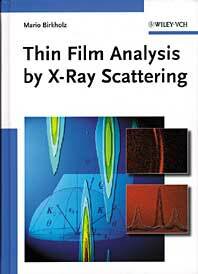 The author undertakes this in-depth introduction to the field of thin film X-ray characterization in a clear and precise manner. 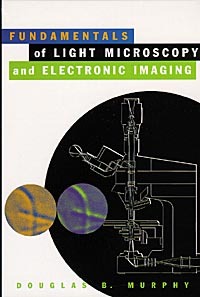 Interesting book which gives a brief description of the history and development of light, electron, scanning probe and acoustical microscopy.